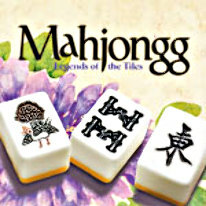 10 innovative Mahjong games blending traditional tile matching with exciting new styles! These ten innovative games blend traditional tile matching with the latest games styles such as Solitaire, Concentration, Tetris, Memory, Match 3 and More! Play a quick, relaxing game of Mahjongg or settle into an extended adventure that can unlock secret levels. Travel to exotic locations like Chinese empires, Japanese gardens, ancient Egyptian ruins and castles from the middle ages to collect rewards and reveal more exciting challenges. -A huge variety of richly detailed backgrounds, elaborate layouts and graphically gorgeous tile sets so you can create over 800,000 variations.